Where Did Everyone Go? When people disappear (physically or emotionally) after a cancer diagnosis. I have experienced being someone with cancer and being someone who cared for someone with a terminal cancer diagnosis and neither side is a cakewalk. 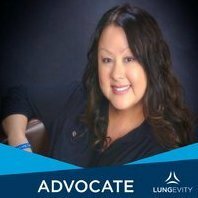 At LUNGevity HOPE Summit s, we talk a lot about survivorship and family relationships in the Caregivers session and I’ve decided that being the caregiver and managing those relationships can be stress-filled and sometimes heartbreaking.